Pixopop is the manifestation of love throught the character illustrations of designer and illustrator, Ali Sabet. Enjoy 25 unique and adorable hand-drawn pixopop creations to color and share with your friends and family. This app is packed with awesome illustrations and the capability to color them with hundreds of colors. Simple and intuitive user experience lets anyone get into the joy of coloring. This app is great for kids and adults just the same. 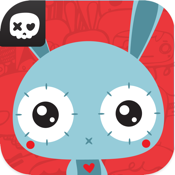 Pixopop lovers will enjoy the fact that we will be adding more illustrations in the future! 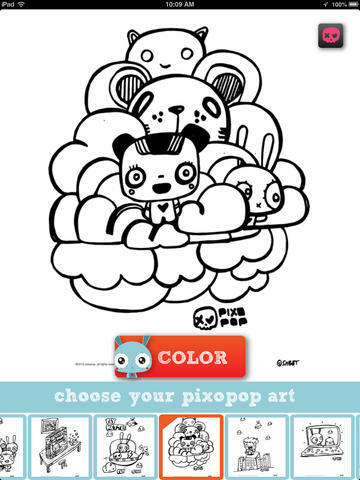 So please download and have a relaxing time coloring and sharing pixopop love! Ali Sabet is an illustrator and the creator of pixopop. He has been creating fun loving characters for many years. In addition to creating and sustaining the pixopop world, Ali is an award winning designer and branding consultant. His company is called Sabet Brands.